Last year my family bought three big blue buckets to plant in. 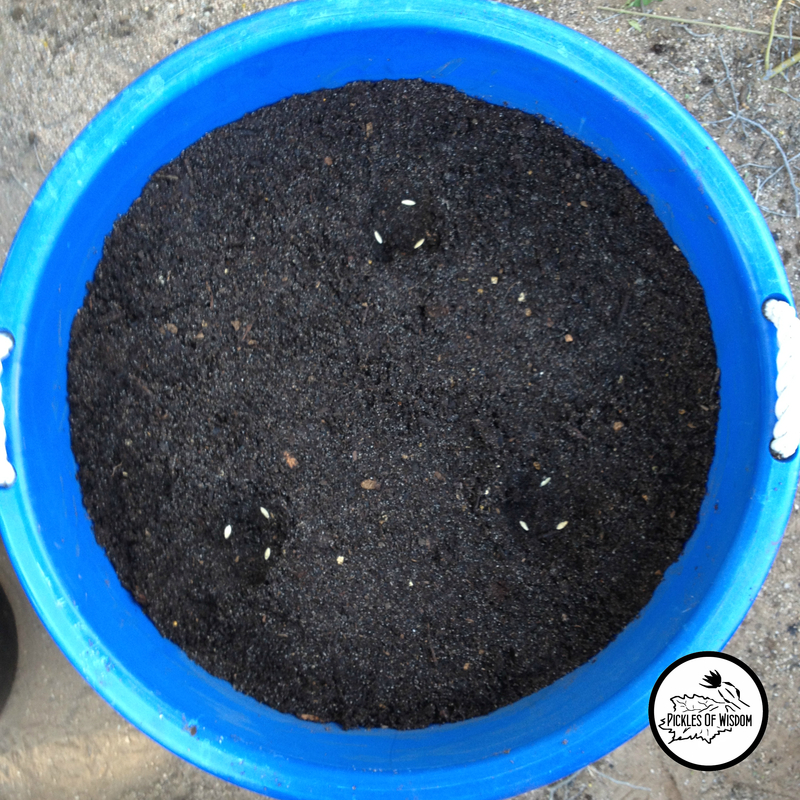 We drilled holes in the bottom and planted winter greens, peas, radishes, and potatoes. This year it’s cucumbers, tomatoes, and a nice sized gourd of some type. 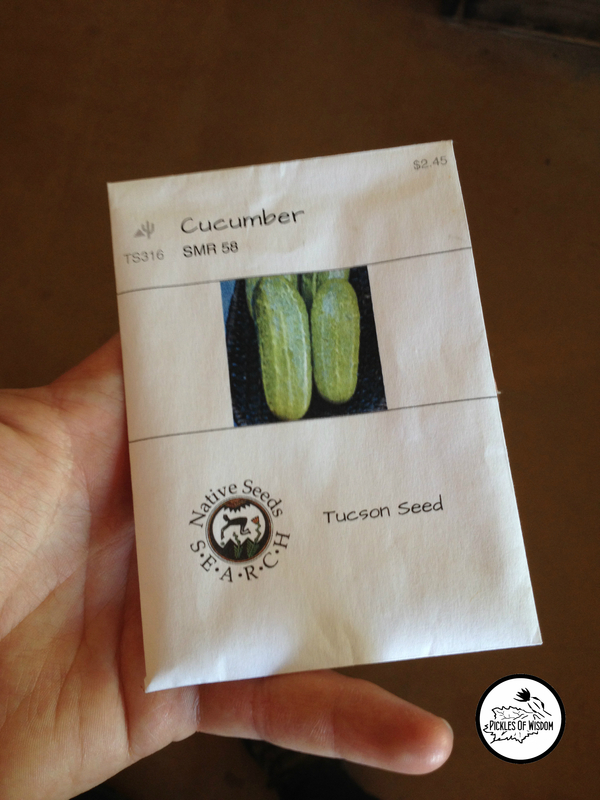 I’m using a whole blue tub dedicated to a local variety of cucumbers bought from Native Seeds/SEARCH here in Tucson. They’ve been grown in this region for long enough that they’re adapted to our climate. You can read more about that here. It’s a desert custom to wait indoors for the heat to die down before going out and planting. So, at around 3pm, I ambled out, bleary-eyed, and started to mix soil. 1/3 compost, 1/3 peat moss, and 1/3 sand for improved drainage. Note: I am well aware of the reasons not to use peat moss. 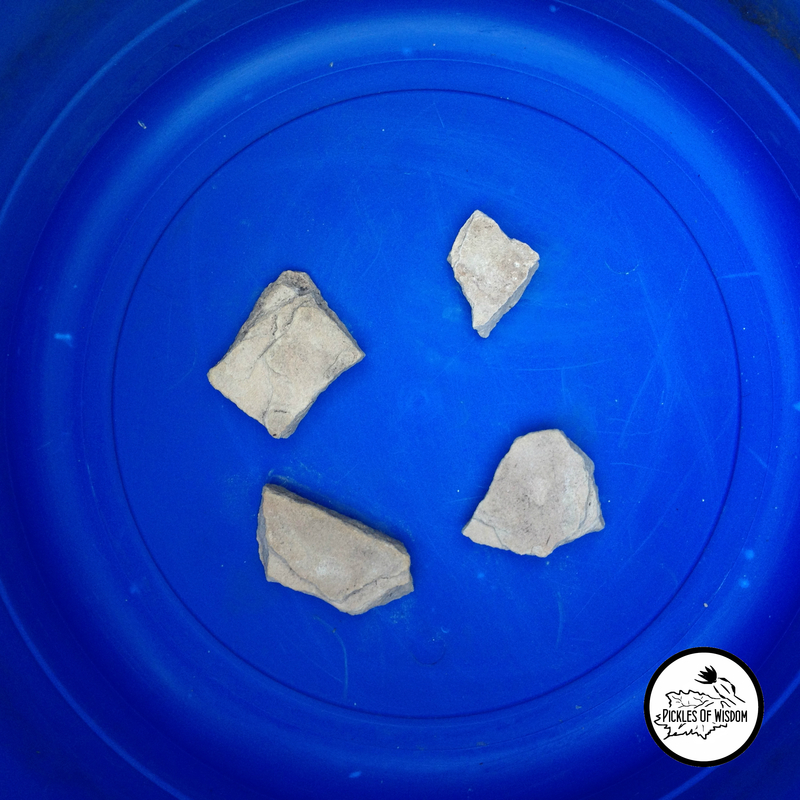 An hour later, I’d rounded up flagstone pieces, better known as sandstone, and covered the holes in the bucket. After a few minutes of shoveling and leveling, it was time to sew those seeds! According to some sources it’s a good idea to plant these an inch deep, and at least 12 inches from the other plants. I plan to grow three plants on the same tomato cage, so they are planted in a triangle formation, three seeds per hole. In 7-10 days we should see sprouts popping up, due to it being warm and sunny here. To all of you stuck inside from cold weather, I’m so, so sorry. You can plant and plan vicariously through me! After they grow to about 6 inches I’ll plant something to help control aphids, my mortal enemy. A year or two ago I tried this with two plants and came up short. Both died! I didn’t have Safer® Brand Insecticidal Soap at that point, so maybe that will work if need be. Nasturtiums are the plant on which I’ve found the most information. They pair well with cucumbers, and they have beautiful foliage and flowers! A trip to the nursery will be in order. Now it’s a matter of covering the seeds, watering, and waiting. We all know the waiting is the toughest part. Who else walks out everyday to check for cracks in the soil, even a glimpse of green sprouts underneath? Welcome! I’m Brendan, your guide through the beginning stages of pickle addiction. Consider supporting this blog with a donation to Pickles Of Wisdom’s Paypal! Just $1 could go a very long way towards the upkeep of this site, and contribute to an excellent learning experience for future guests. Follow Pickles of Wisdom for recipes, gardening tips, and all those garden/cooking memes. Advice and tips found on this blog are the opinions of Pickles Of Wisdom. Please use your own best judgement.